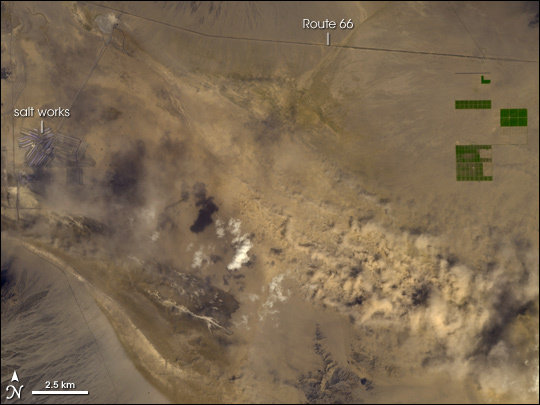 Along historic Route 66, just southeast of the little town of Amboy, California, lies a dried-up lake. Dry lakebeds are good sources of two things: salt and dust. In this image, the now-parched Bristol Lake offers up both. On April 12, 2007, dust storms menaced the area around Amboy. To the northwest, near Newberry Springs, California, dust hampered visibility and led to a multi-car collision on Interstate 40, killing two people and injuring several others. 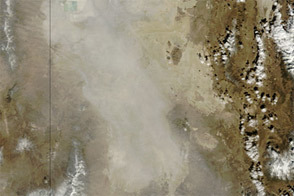 The same day, the Advanced Spaceborne Thermal Emission and Reflection Radiometer (ASTER) on NASA’s Terra satellite captured this image of a dust storm in the dry remains of Bristol Lake. 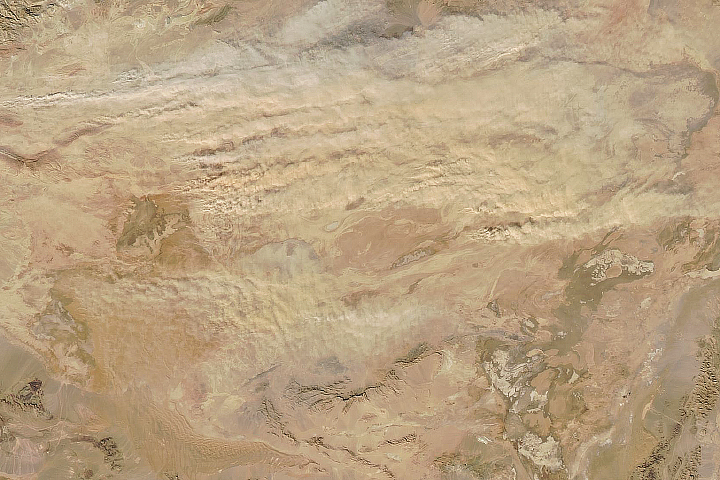 Many small dust clouds boil up from the ground surface, casting their shadows to the northwest. A bright white cloud floating over the dust also throws its shadow onto the ground below. East of the dust storm are salt works that stand out from the surrounding landscape thanks to their straight lines and sharp angles. Dark ground surfaces alternate with mined white salt in a network of stripes. When lakes evaporate, chemicals that had been dissolved in the water stay behind, making dry lake beds an ideal place to find heavy concentrations of minerals, including salt. Besides the salt works, something else appears in stark contrast to this arid place. 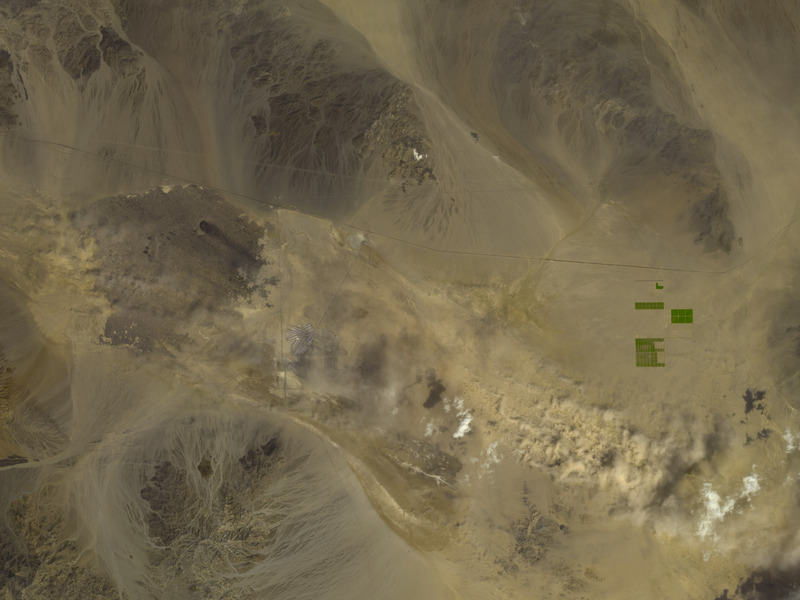 Lush green fields of irrigated crops appear in the east. Besides their color, their orderly arrangement reveals their human-made origin.